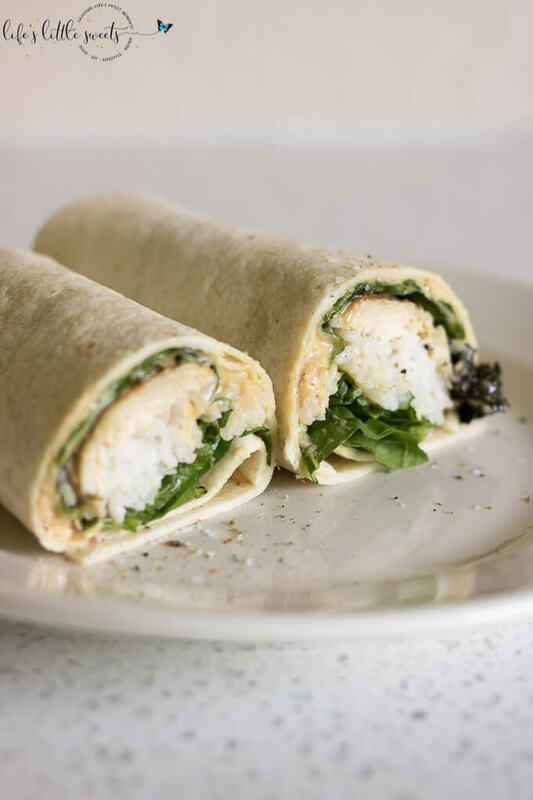 Hi Everyone, we all need to remember to eat lunch, right? 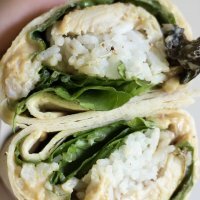 For lunch I love something quick and easy to make, yet fills me up so that I am not hungry, or worse yet, hangry for the rest of the day, until dinner. 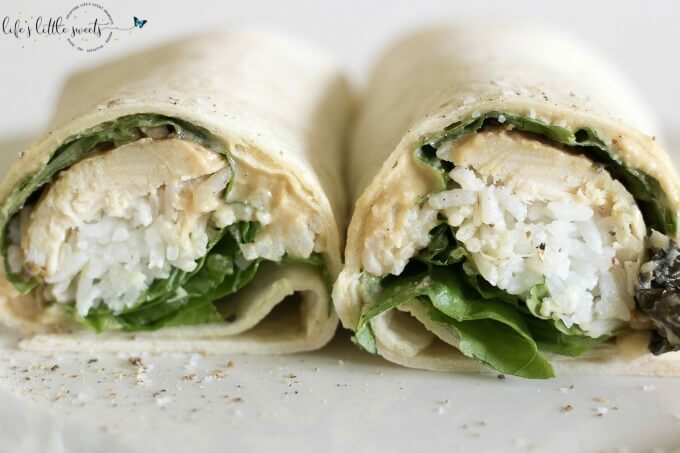 We make a lot of chicken for dinner and I like to make extra so that my husband, Eric can take leftovers to work and I can have something easy to prepare at home. 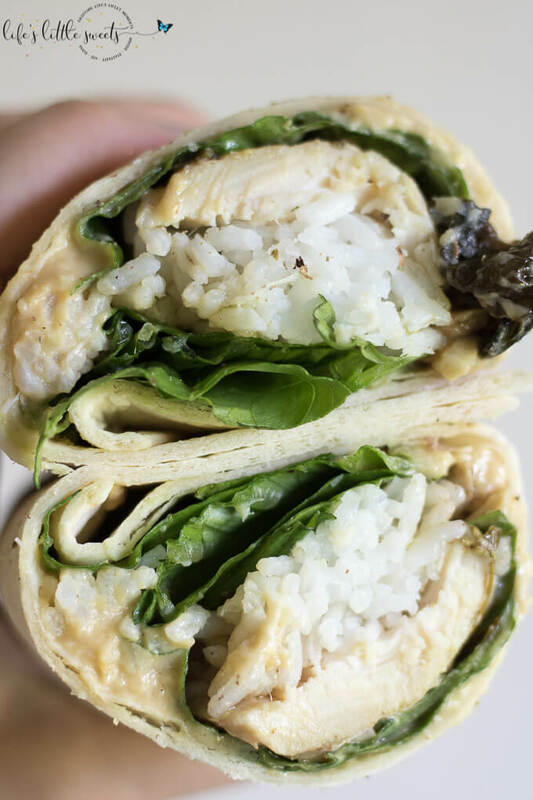 This Chicken Hummus Wrap definitely falls into that category. 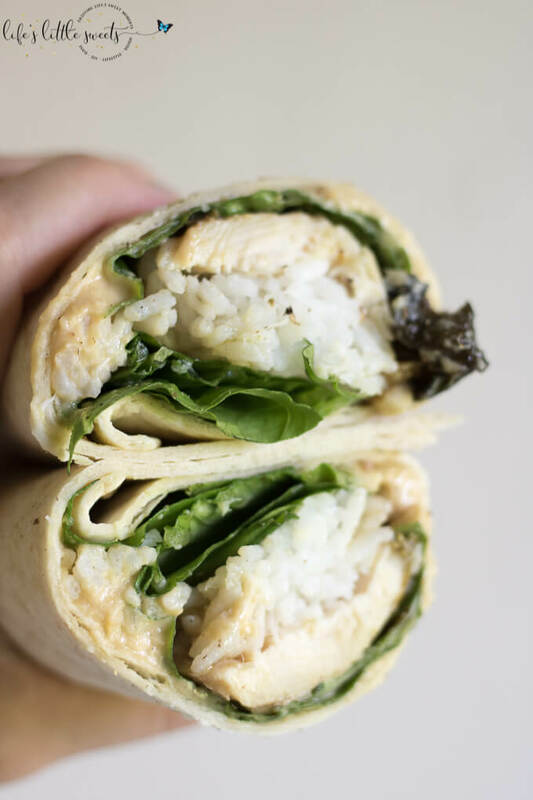 Give this Chicken Rice Hummus Wrap a try!